“Crustacean Support Group.” 2013. Embroidery and watercolor on silk. 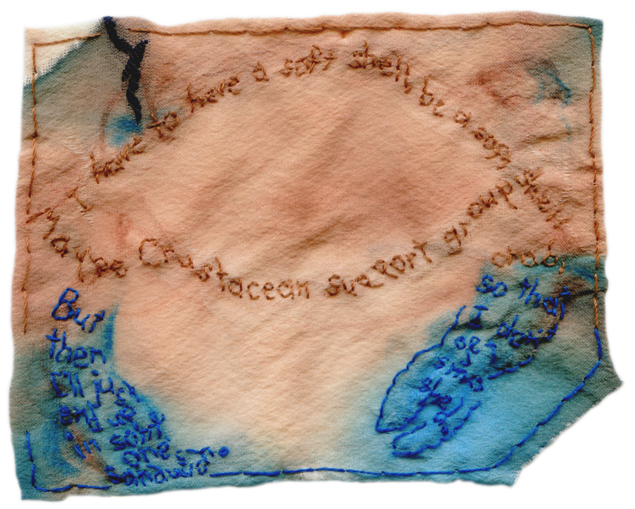 Text by friend and fellow artist for @EmbroideryPoems project.